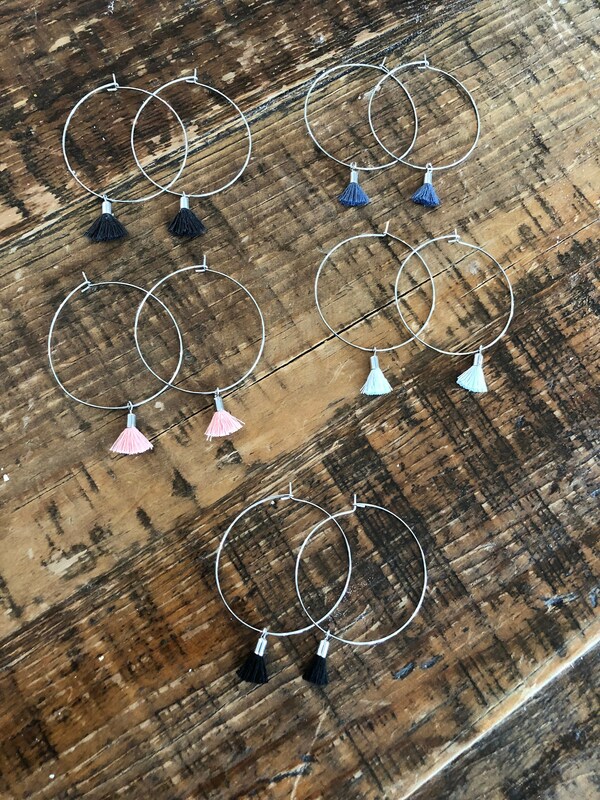 Tassel Hoop Earring. Tiny Tassel. Ear Wires. 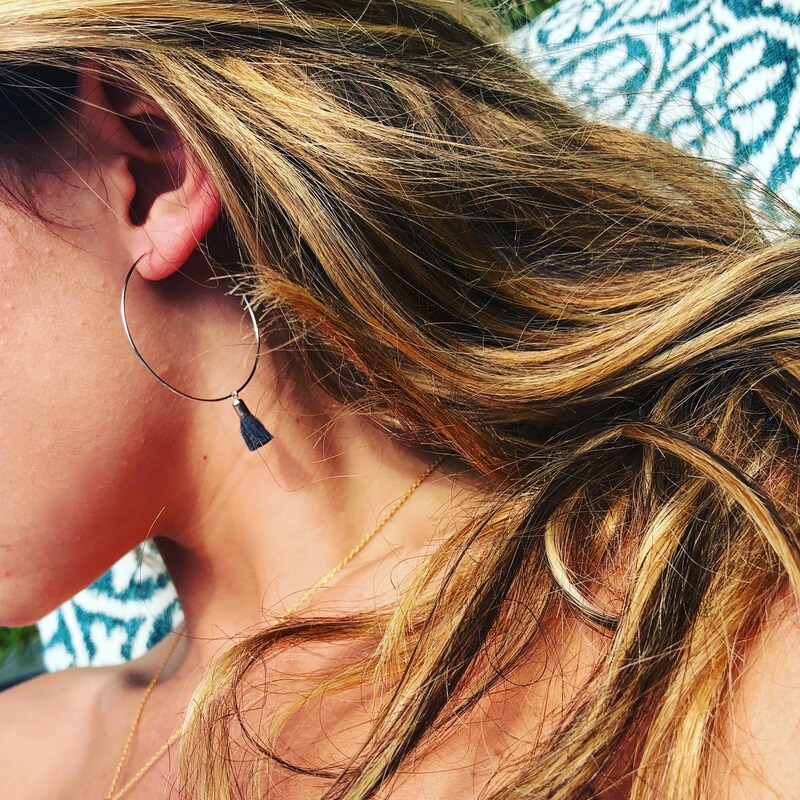 Dainty Earrings. 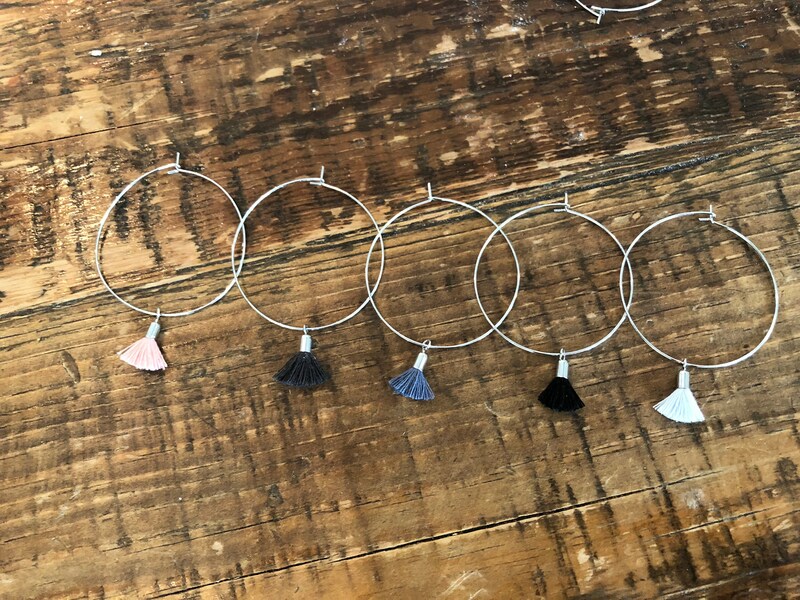 Simple Earrings. Tassels. We will never go back to regular hoops again! These ear wires are so light. Nickel free and hypo allergenic. Pick a color tassel and be on your way. You'll never want to take them off! 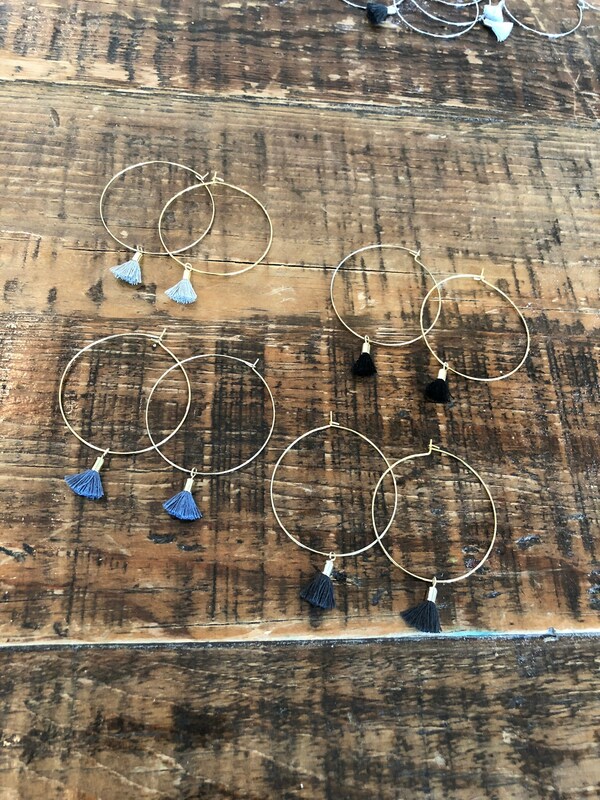 - 1 pair of tiny tassel ear wires in gold or silver plating. Super cute and I wear them all the time!